Zoe Sugg, known well for her beauty blogger status as Zoella thought she was living the high life and it could not simply get any better. That is, until at a YouTuber party. She stumbles across and meets vlogger Alfie Deyes, known to the world as PointlessBlog. The two of them became friends and enjoyed every step of their way of becoming closer regardless of the distance between them. But then becoming close friends, they both realise the possibility; Does one like the other? Is the comment section right about "Zalfie"? Find out in Amour... - - Amour is french for love incase I'm working on this with Rob OfficialRobertBeck) and we're both really looking forward to working together! 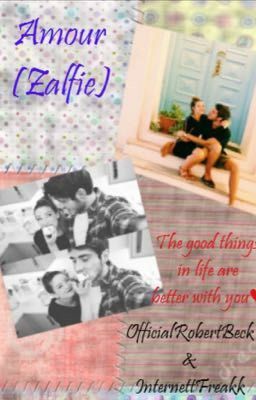 We hope you enjoy this fic! !